Mhairi Maskew, MBBCh, PhD, is a physician and epidemiologist. Mhairi has been involved in the management and analysis of large HIV treatment cohorts databases for the last 8 years. She joined the HE2RO team in 2010 as a Senior Researcher and currently provides leadership to the HIV treatment outcomes focus area working on several projects including attrition from HIV care among adolescent populations. Mhairi was previously based at Helen Joseph Hospital in Johannesburg, South Africa, as a clinician in the Themba Lethu clinic, one of South Africa’s largest antiretroviral treatment sites. During this time she also worked in the hospital’s Oncology unit where she developed an interest in HIV-related malignancies. She recently completed a PhD at the University of the Witwatersrand which explored the epidemiology of Kaposi Sarcoma and its etiologic virus, the Kaposi sarcoma Herpes-virus and to date, her work has been published in several international peer-reviewed journals including AIDS, JAIDS, Clinical Infectious Diseases and the International Journal of Epidemiology. 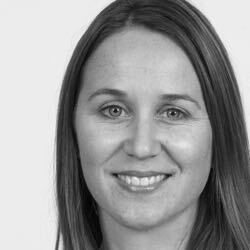 Mhairi has mentored several Master’s level students and also currently is involved as local principal investigator on a randomised clinical trial investigating simplified clinical treatment algorithms for same-day ART treatment eligibility in South Africa. Kaposi’s Sarcoma in HIV-infected patients in South Africa: Multicohort study in the antiretroviral therapy era. Incidence of Herpes Zoster among HIV-infected Patients on Antiretroviral Therapy in Johannesburg, South Africa – Who Should We Vaccinate?